China and PNG have strengthened their cooperative stance and pushed forward the process of cooperation by signing the Memorandum of Understanding under the Belt and Road Initiative in June this year. Chinese President Xi Jinping is to pay state visits to Papua New Guinea(PNG), Brunei, and the Philippines from Nov. 15 to 21, and will attend the Asia-Pacific Economic Cooperation (APEC) leaders’ meeting from Nov. 17 to 18 at Port Moresby, capital of Papua New Guinea as China’s Foreign Ministry spokesperson Lu Kang made the announcement on Nov. 12. The Independent State of PNG and China established official diplomatic relations in 1976. The cordial bilateral relationship has reached new heights in 2018. PNG, situated in the South Pacific, is the second largest country in Oceania. It has established trading relationships with Australia and New Zealand in the time since it first gained independence. However, the country has not been the most attractive destination for foreign investment due to a volatile political and economic environment. PNG went through a period of political upheaval before the current Prime Minister Peter O’Neil was sworn in to office. Also, falling global commodity prices have had a negative impact on PNG’s economy. However, thanks to political stability and recent rises in commodity prices, the current government is gearing up to foster strong economic development. For an island country with 85% of its population living in rural areas and practicing semi-subsistent ways of life, road and power networks are crucial to pushing forward the country’s development. PNG is a densely populated country that enjoys great potential in farming, forestry and tourism. However, PNG’s major cities are not connected by roads. Movement of people and goods is heavily reliant on air and shipping. Infrastructure development needs are dire. To develop these rural regions and build industry, infrastructure projects such as highways and power stations are crucial. Despite the country’s great potential, PNG’s government is not able to afford funding large scale infrastructure projects. According to the International Monetary Fund (IMF), PNG’s annual GDP growth in 2017 was 2.2%, which was slightly slower than 2016 (2.4%). The slowdown of economic development has taken a toll on government budgets. In 2018, Standard and Poor’s Global Ratings lowered its long-term foreign and local currency sovereign credit ratings of Papua New Guinea to “B” from “B+”. The ratings agency pointed to larger than expected fiscal deficits because of “loss of revenue and reconstruction costs” following the major earthquake the country recently sustained. Thus, infrastructure development remains a major challenge for the current government. However, difficulties relating to funding infrastructure projects are very common among island countries. According to a report issued by the European Union, small island countries “lack capital from international markets and show fragility in capital flows and foreign exchange fluctuations”. These governments have to assume greater responsibility in providing infrastructure. In South Pacific Island countries, governments have no other choice but to contribute a higher proportion of their budgets to infrastructure development because of insufficient investment from the local private sector. According the Asia Development Bank, in 2004, the government of the Marshall Islands spent 70%-80% of their annual fiscal income on transportation and other infrastructure projects. Most of these pacific island countries can rely only on concessional loans or grants from donations to support their infrastructure development needs. Thus, it is no exception that PNG requires large capital from overseas to fund infrastructure projects. China’s aid is playing a significant role in PNG’s infrastructure development. China has been actively involved in infrastructure development in South Pacific Island countries for several years by using state-owned contractors to construct projects funded by concessional loans. 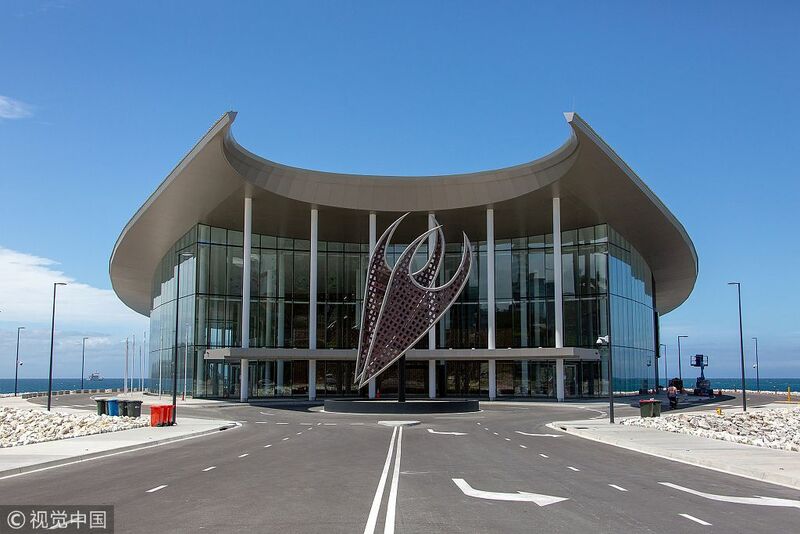 In November last year, China pledged $3.5 billion in concessional loans to PNG in the future. If the plan can be carried out, China would become the largest aid donor country to PNG. According to a report issued by the Lowy Institute, an Australian think tank, China has already become the largest donor country in the South Pacific region. Since 2011, China’s aid including grants and concessional loans has reached $1.3 billion, exceeding that of New Zealand ($1.2 billion). The steady growth of aid from China to South Pacific Islands Countries has generated suspicion among a number of countries. The way Chinese aid operates differs from the traditional way of OECD countries, which could have generated some suspicion. Most OECD countries tend to carry out aid by giving grants to promote certain values such as gender equality, democracy and good governance. However, about 70% of China’s aid is carried out by concessional loans and devoted to building infrastructure and public facilities. Currently, this aid focuses on addressing the pressing need of infrastructure development. These concessional loans are offered to PNG to build infrastructure projects at a very friendly rate. Also, the aid programs between China and PNG are set after wide consultation between the two countries and made on mutually agreed-upon ground. It is not surprising, therefore, that the PNG government has seen Chinese aid as its preferred option compared to increasingly value-attached development assistance from traditional OECD aid donors. Additionally, the increasing number of construction companies from China engaging in such projects help local economic development. One of the most popular arguments against Chinese construction companies is that they employ labor from China rather than from PNG. According to an interview with Chinese Ambassador to PNG Xue Bing, Chinese enterprises have employed over 7,000 local employees in PNG so far and the number keeps increasing. Furthermore, simply visiting Chinese enterprises’ construction sites would clear these rumors. At the construction site of the Noble Centre in Port Moresby, the tallest building in the South Pacific Island region, 70% of the laborers are PNG local people. In fact, it’s not just construction companies. All Chinese companies operating in PNG are encouraged to implement localization strategies because in simple terms, the cost of employing a local worker is much lower than employing a worker from China, due to the comparatively high cost of Chinese labor as well as insurance and visa costs. Apart from aid, the Belt and Road Initiative provides an alternative option for countries like PNG to develop infrastructure. Potential economic cooperation opportunities between the two nations give a boost to the bilateral relationship. During a visit to China by the PNG Prime Minister, China and PNG signed Belt and Road Initiative Memorandum of Understanding. President Xi Jinping said that China and PNG should expand pragmatic cooperation under the Belt and Road framework to provide strong impetus for sustained and stable growth of bilateral ties. PNG views the growing relationship with China and PNG as a way of integrating their economy into the global economy. 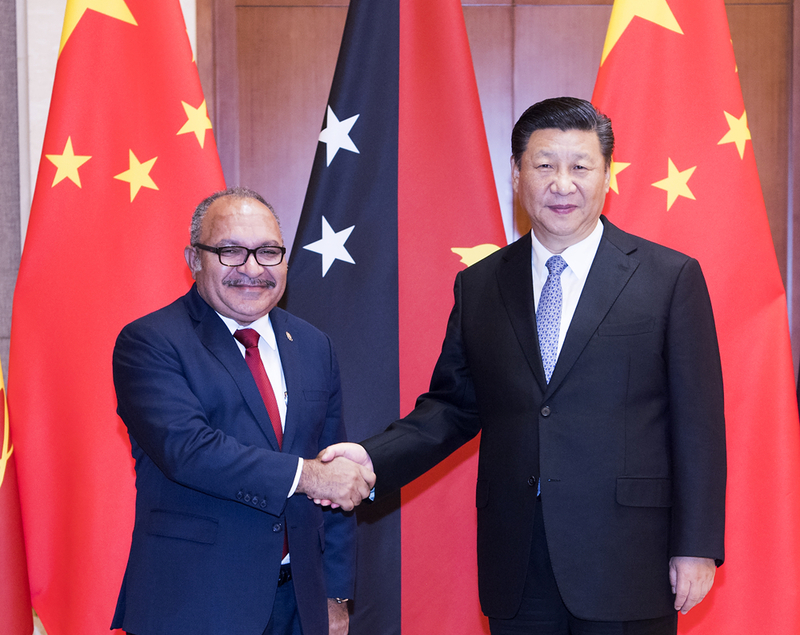 “The rest of the world is making business with China and we cannot simply sit back and allow these opportunities to go by,” PNG Prime Minister Peter O’Neill said in an interview with PNG’s Post-Courier Newspaper. The Belt and Road Initiative has a strong focus on infrastructure development, which is exactly the challenge that PNG needs to address. By participating in the Belt and Road Initiative, the two countries are better aligned to cooperate in developing PNG’s infrastructure network in roads and energy.